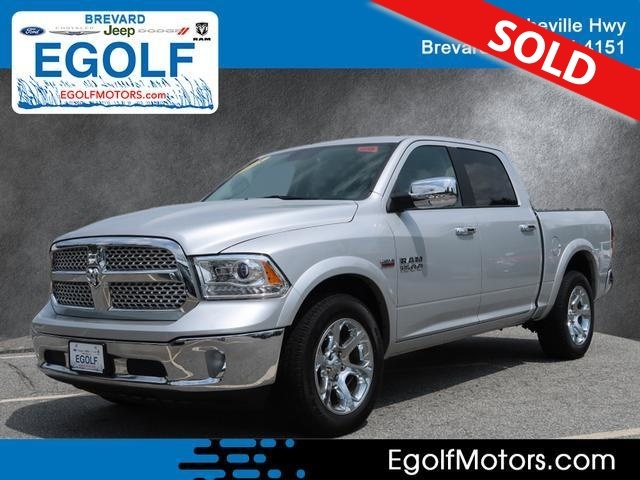 1500 Laramie, 4D Crew Cab, HEMI 5.7L V8 Multi Displacement VVT, 8-Speed Automatic, 4WD, 20 x 9 Chrome Clad Aluminum Wheels, ABS brakes, Quick Order Package 28H Laramie, Speed control. Call Egolf Motors in Brevard at 828-884-4151 then x 1. Weve been serving customers in Western North Carolina and upstate South Carolina for over 40 years where you feel like family when you walk through the door. Odometer is 6430 miles below market average! Call Egolf Brevard at 828-884-4151. You make the drive, well make the deal and youll feel like family!